According to a report by San Jose Mercury News, the Santa Clara Valley Water District board has approved a $17.5 million project that will deepen the use of recycled water in the parched South Bay and make Apple’s Campus 2 project greener. The board approved a budget and authorized agreements for the project in a meeting on Tuesday evening, which is a collaboration among the water district, the city of Sunnyvale, the California Water Service Company and Apple. The massive project, $4.8 million of which has been funded by Apple, “is a true partnership of both public and private agencies”, said Katherine Oven, deputy operating officer of the water district. 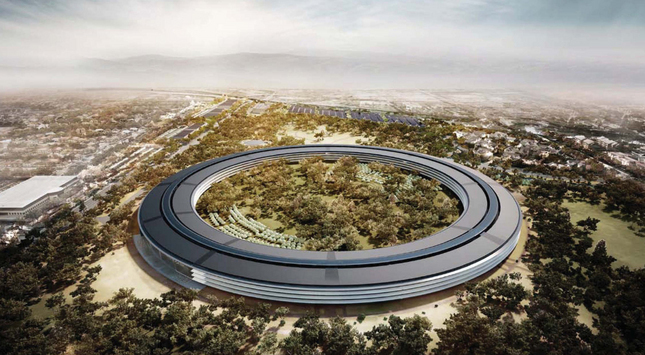 Apple catalyzed talks among the various water stakeholders in the area, making plain its desire to use recycled water on its new campus. “Apple drove this project,” she said. The publication notes that as part of the project, workers will lay 13,300 feet of recycled water pipeline to funnel water from the city of Sunnyvale’s water recycling facility to new locations, while also constructing a booster pump station to increase the water pressure for Apple at the end of the line. “As the California drought intensifies, recycled water — sewage that is filtered and disinfected — has become an increasingly popular option, particularly on golf courses and other landscapes that require extensive irrigation. Apple Campus 2 will join a variety of sites in the South Bay using recycled water, including Levi’s Stadium, which uses recycled water to flush toilets and keep the playing field green. More corporate campuses will likely follow suit, said Heather Cooley, water program director for the Pacific Institute in Oakland”. About 3% of the pipeline’s capacity will be devoted to Apple, with more than 157,000 gallons of recycled water flowing to Apple’s new campus under the proposed project. The water district expects to begin the construction in August this year.